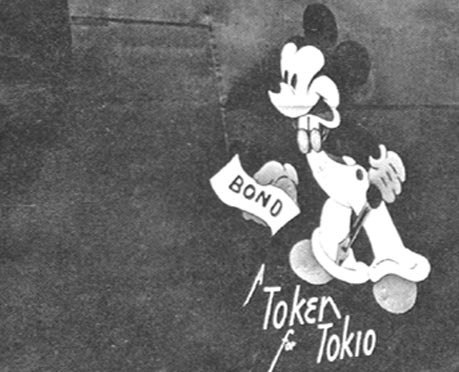 Many artists and animators employed at Walt Disney's Studios used their talents and skills during WW2 to produce a multitude of official insignia for USAAF groups and squadrons using the full range of Disney characters. 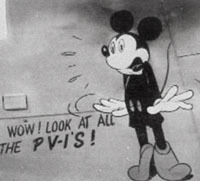 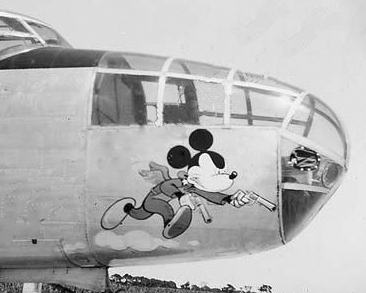 A number of designs were also created for individual aircraft and Mickey Mouse was a particular favourite for use on Venturas (PV-1s) destined for the US Navy due to the proximity of the Lockheed Vega plant. 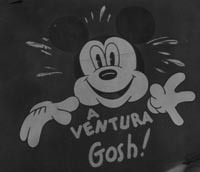 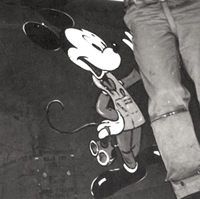 However, it was assumed for many years that these were painted by Disney artists but in fact they were done by a civilian employee of Lockheed Vega, George McCraw. 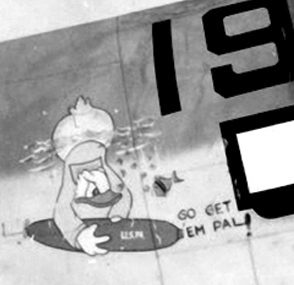 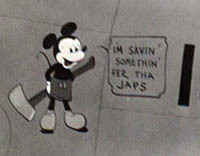 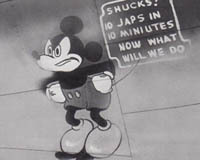 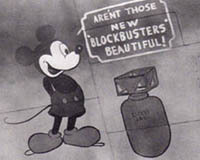 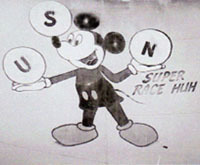 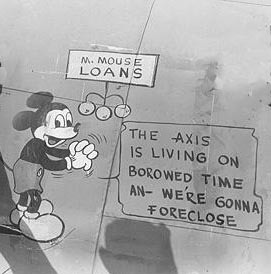 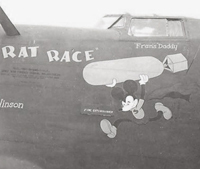 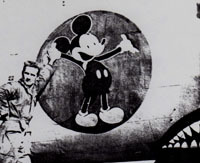 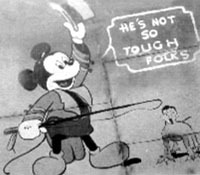 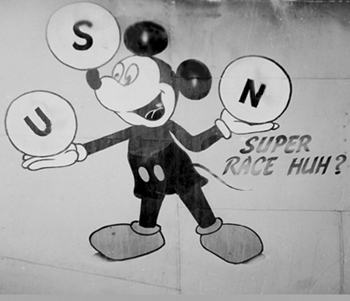 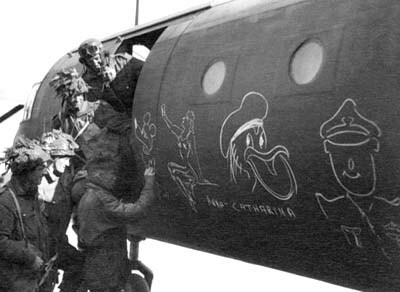 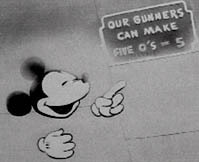 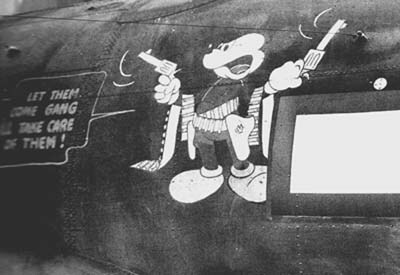 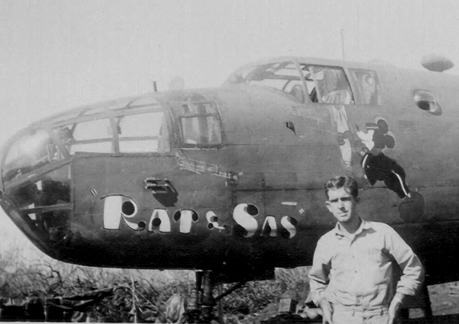 Mickey Mouse is harder to find on USAAF aircraft and few examples of the cartoon seem to have been used unofficially by those who painted nose art on other types of bombers, fighters or transports. 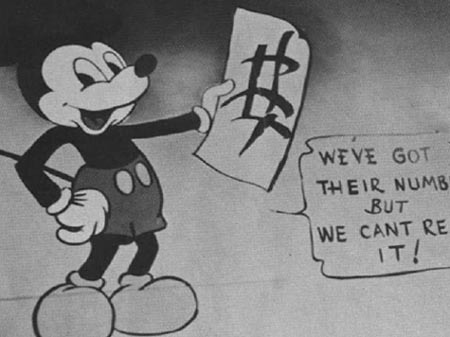 This is surprising considering the immense popularity of Disney's characters and the simplicity of the artwork. 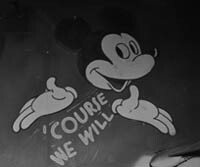 If you have found any more examples of Mickey Mouse used on nose arts, please share them with me. 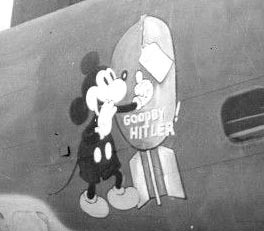 Mickey Mouse was also popular with members of the RAF and appeared on some rare examples of nose art found on Lancaster and Halifax bombers assigned to the Canadian and Australian units. 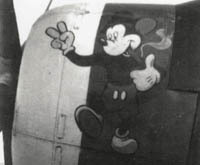 Indeed, a somewhat distorted variation was also used by the Luftwaffe's Lehrgeschwader 2 on their aircraft during the campaign against France, and, later, as a personal emblem for Hauptman Horst Carganico on his Me109, assigned to JG5. 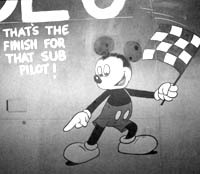 Mickey Mouse first made his appearance in Disney's movie "Plane Crazy" in 1928, inspired by the exploits of Charles Lindberg's first solo crossing of the Atlantic a year earlier. 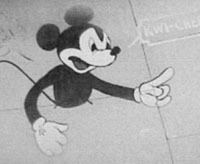 Created in secret by Walt Disney and Ub Iwerks, Mickey Mouse was an instant success and the later "Steamboat Willie" became the first cartoon with synchronised sound. 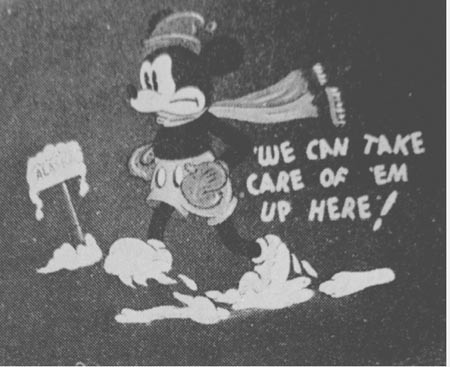 We can take care of em up here!